VICTORIA, BC – Bring Your Porter to the Slaughter reports that Spinnakers Brewpub has released the latest in its Brewer’s Reserve series of limited edition single batch beers. This beer has aged one year in oak barrels with the addition of fresh local raspberries. Delicately sour and full of juicy raspberry flavour, it is perfect for drinking now, or stashing in your cellar. 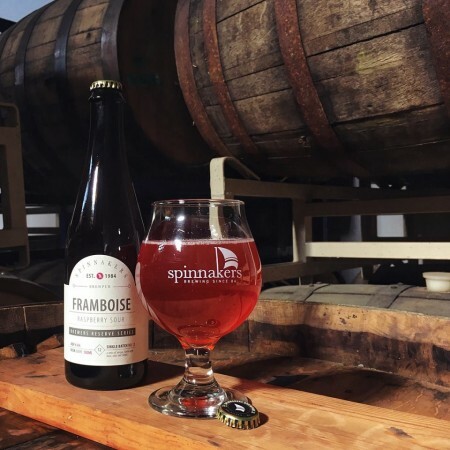 Spinnakers Framboise is available now in 500 ml bottles at the brewpub retail store and select private liquor stores in the area.